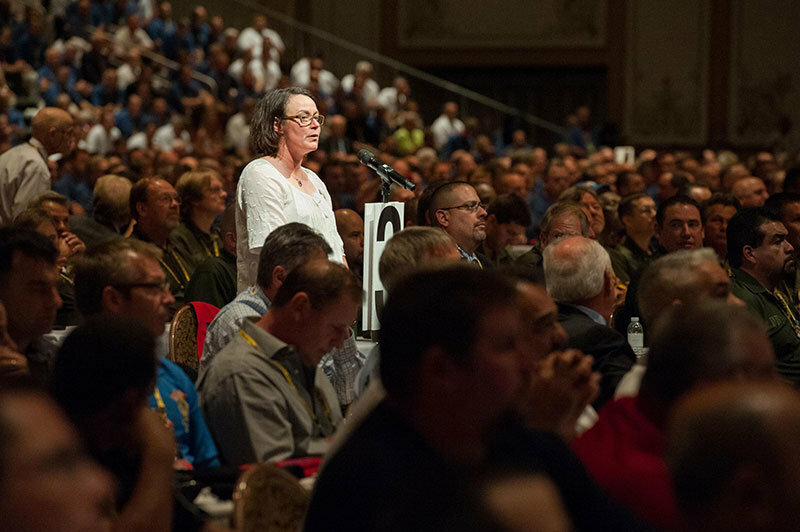 Per our UBC constitution, approximately 2,000 delegates and alternates, elected from their local unions, meet every five years to elect the general executive officers, vote on constitutional matters, hear industry updates, and debate policy. 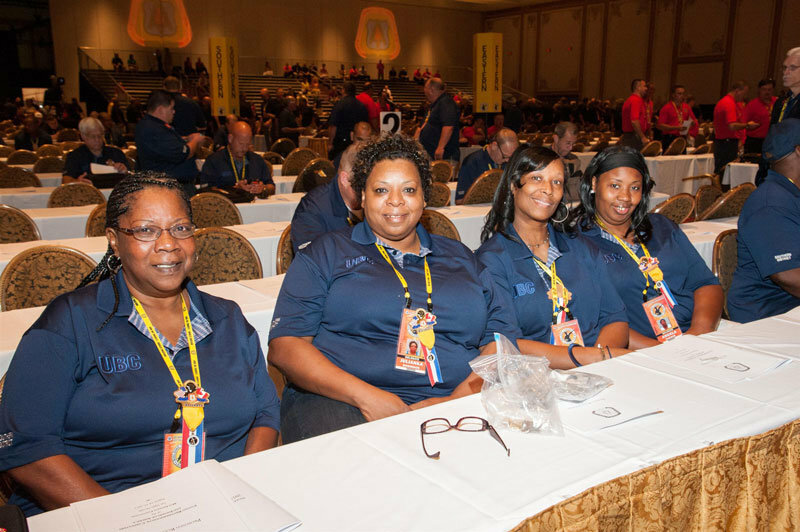 Convention committees, appointed by the General President, meet to address and report to the delegate body on critical issues. In 2005, General President Douglas McCarron established the UBC’s first Women’s Committee. 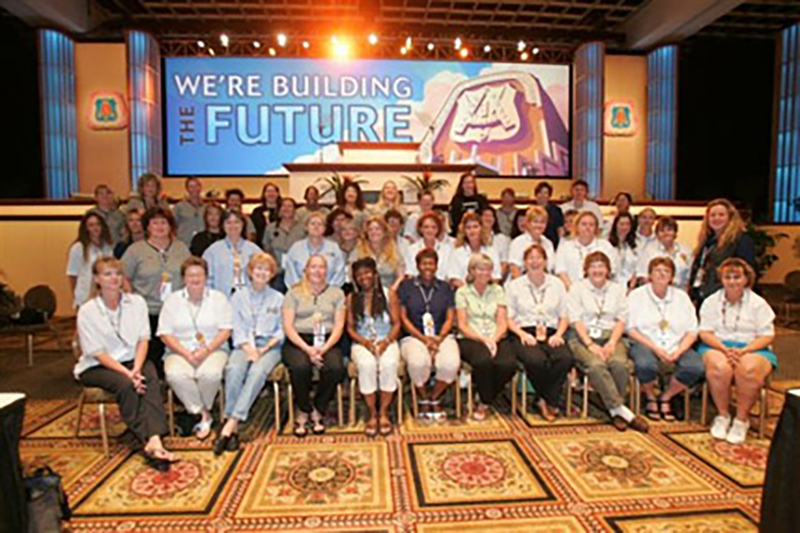 For the 41st UBC General Convention in 2015, UBC members elected 86 women delegates and alternates. 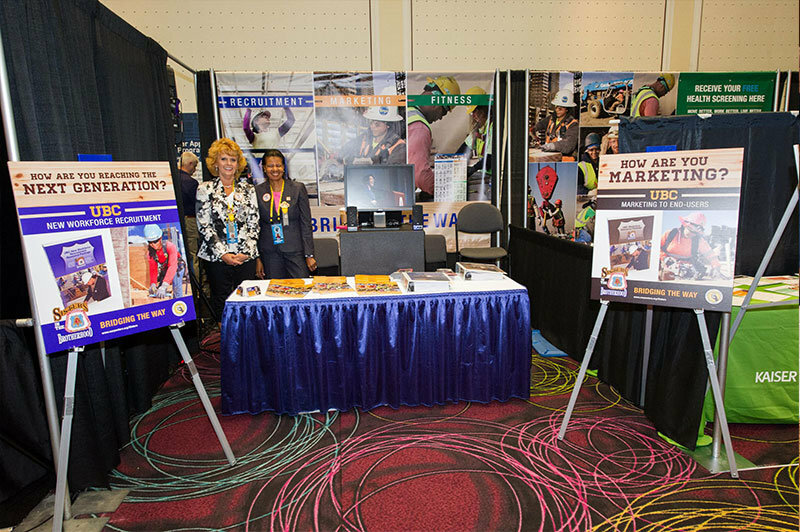 Thirteen of those sisters served on one or more convention committees, including the Women’s Committee which reported on SIB goals. 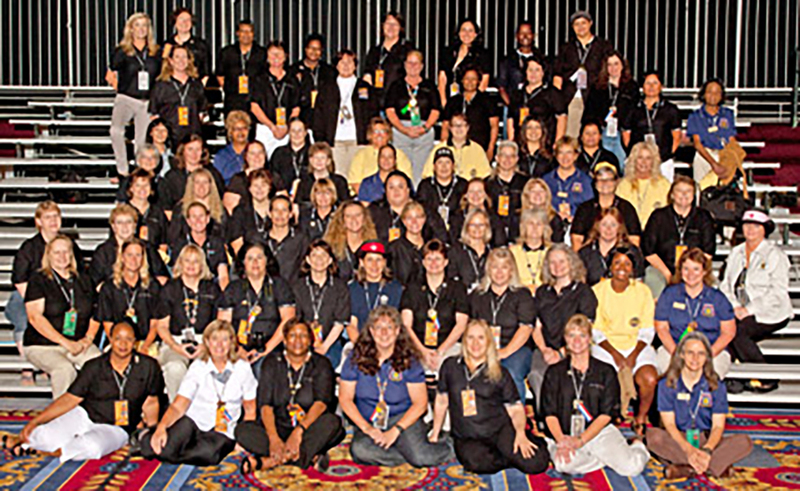 For the 2010 UBC General Convention, UBC members elected 105 women delegates and alternates an increase of almost 600% over the 2000 convention. 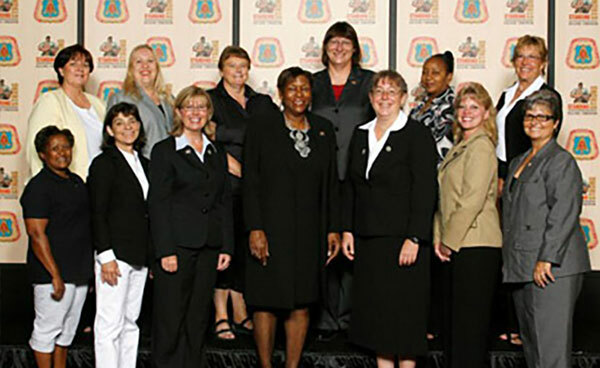 The 13 members in the bottom photo below were appointed to the historic second Women’s Committee and reported SIB’s goals to the convention body. 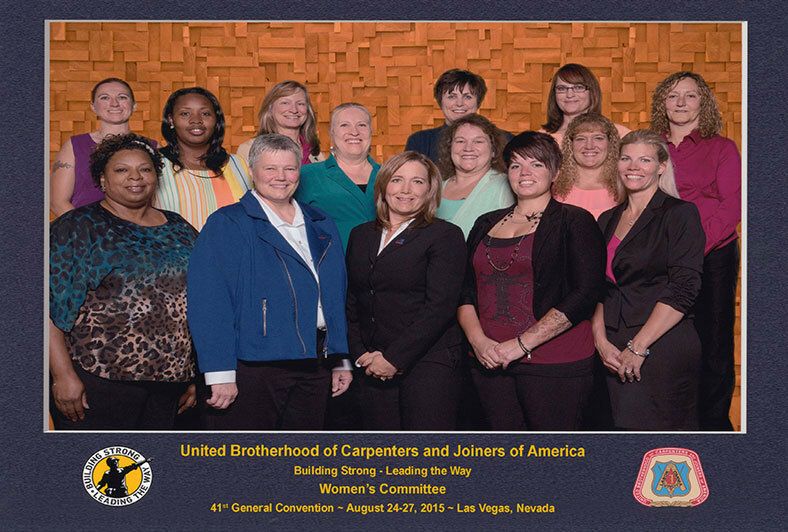 In 2005, UBC General President Douglas McCarron appointed the first Women’s Committee in the history of the United Brotherhood of Carpenters. The group, all delegates elected from their local unions, met and drafted a report that was read to and approved by the delegate body. The report included ideas on how to increase the number of women in the UBC as well as the challenges faced by women carpenters and proposals for solving them.